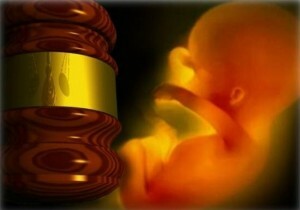 You are at:Home»Life Issues & Bioethics»Contraception & Abortion»The Trial the Media Missed – Death Sentence Commuted! For the past several weeks the nation has been focused and absorbed with the George Zimmerman trial. This trial ended on 7/13/13 when a “Not Guilty” verdict was rendered by the jury after much evidence and testimony was presented in the courtroom. Another trial was also occurring this past week involving an unborn child who was facing the death penalty for the cultural violation of having an extra chromosome. On Monday 7/8/13 I received an email originating from a church in VA stating “There is a couple in another state who have contacted an adoption agency looking for a family to adopt their Downs Syndrome unborn baby. If a couple has not been found by today they plan to abort the baby” (http://www.wusa9.com/news/article/266187/158/Church-Flooded-With-Calls-To-Adopt). I immediately called the church, and I was overwhelmed with joy to hear that 100’s of people had already called to adopt this child, and the phones had not stopped ringing! I immediately thanked God for this incredible outpouring of love for the most precious, priceless gift God has given us – LIFE. This unborn child had committed no crime but had been targeted for termination for not meeting the criteria of “normal and healthy” by a culture that classifies certain unborn children as “defective” and eliminates them. Unlike the highly publicized Zimmerman trial this proceeding had very little media coverage even though this child was completely innocent. This human being was given an extremely small window of time to receive a death sentence “pardon,” and thank God a jury of over 1000 people rendered a “not guilty” verdict and sentenced this child with Down syndrome to LIFE. Some societies identify, target and eliminate an unborn child for the violation of being female, and I have not heard any outcry nor seen media coverage from those who claim to champion and defend women’s rights. Maybe we need a new group of prenatal activists who will stand up for unborn women? As prenatal genetic testing rapidly advances the question needed to be asked is this: Will other unborn children who violate cultural mandates for misguided normalcy and perfection also be identified and eliminated for the offense of having autism, depression, ADHD, brown eyes, shortness and the list goes on! My beautiful daughter Chloe was born in 2003 with the incredible gift of having Down syndrome, and she has done nothing but shine light, love and eternal hope into this lost world. In ten years the evidence I have gathered and observed clearly leads me to the verdict that Chloe can and never will intentionally hurt anyone, and she is not capable of criminal intent or malice. Why then are 90%+ of children diagnosed prenatally with Down syndrome given a death sentence without ever receiving a trial or jury? I desperately try to relay the facts and evidence about children like Chloe on a daily basis, but a 90%+ death judgment shows there is much work to do and very little time to do it – Truly a LIFE or death matter! Previous ArticleWhy Do We Homeschool? Next Article We Need Saints!